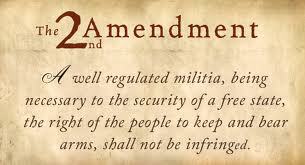 On June 28, 2010, the Supreme Court decided one of the most important Second Amendment cases in U.S. history. McDonald v. City of Chicago. It marks a huge victory for conservatives, for Constitutionalists, for the NRA, and for common sense. This case represents a consolidation of cases filed against the Northern District of Illinois against the City of Chicago and Village of Oak Park challenging their gun ban laws which prohibit the possession of most handguns. Petitioners challenged the Chicago and Oak Park gun bans, claiming that such bans not only left them vulnerable to crime, but were in violation of the second and fourteenth amendments. All petitioners live in high-crime neighborhoods in Chicago and have been victims of crime. The individual suits were filed intentionally after the Supreme Court’s issued its landmark decision in District of Columbia v. Heller (2008), the first Second Amendment case to come before the Court in over 70 years. In that case, the Supreme Court held that a District of Columbia handgun ban violated the Second Amendment. The Court reasoned that the law in question was enacted under the authority of the federal government and, thus, the Second Amendment was applicable. The Second Amendment reads: “A well regulated Militia, being necessary to the security of a free State, the right of the people to keep and bear Arms, shall not be infringed.” In Heller, the Supreme Court held that the Second Amendment secures for individuals the right to keep and bear arms, including handguns, for the purpose of self-defense. (pp. 2821–22). Although the Heller Court held that the right to bear arms was not unlimited, the Court did strike down two Washington D.C. gun control laws which were in effect at the time (while they did not ban handguns outright, they effectively reached that result by making the possession of an unregistered firearm a crime, and making the registration of handguns illegal). The Petitioners in McDonald wanted to have the rights recognized in Heller applicable to citizens of the individual states. The case would also stand as a landmark decision. It would have far-reaching effects for rights of self-protection and on long-held conceptions of federalism. As Justice Clarence Thomas explained in McDonald: “In Heller, this Court held that the Second Amendment protects an individual right to keep and bear arms for the purpose of self-defense, striking down a District of Columbia ordinance that banned the possession of handguns in the home. The question in this case is whether the Constitution protects that right against abridgment by the States. (McDonald, pg. 217).” Thus the question in McDonald was whether the Second Amendment should also apply to the states. The Court answered in the affirmative, by a narrow 5-4 decision. American Thinker gave an excellent presentation of the case: “The most important job of the government is the protection of its people. That protection involves their physical safety and the security of their property. It means providing police presence to deter criminals before they commit crimes and harsh penalties for offenders whose crimes were not deterred. The fact is that most crimes cannot be deterred because the bad guys don’t generally mug people in front of the officer on patrol. Since the police can’t be everywhere, people need a way to protect themselves. And that was how Otis McDonald felt when he walked into a Chicago police station and applied for a .22-caliber pistol two years ago. As the lead plaintiff in a lawsuit challenging Chicago’s 28-year handgun ban, McDonald, a 76-year-old retired maintenance engineer, was a sympathetic figure: an elderly man trying to protect himself from violent hoodlums preying upon his neighborhood.” [He was also a neighborhood activist, proposing alternative policing strategies to make his neighborhood safer; his efforts earned him death threats from local gangs]. “One would think that granting McDonald the right to protect himself would be a no-brainer. After all, it’s common knowledge that many street gangs are equipped with enough firearms to take on the Taliban. Our feckless justice system has been proven inadequate to disarm the thugs that roam freely throughout the country. Therefore, why not allow the potential victims of those thugs to at least have a fighting chance. How insane is it to tell people that they are prohibited from being armed during a continuous war on crime, especially when they live in crime-ridden areas like Chicago.” By the way, if there is a ban on legal handguns, who is responsible for all the gun violence? Was Chicago Mayor Daly able to explain? Apparently he made no attempt to support the plaintiffs’ case to the Supreme Court but rather suggested that the Justices do not understand the nature of crime. The Supreme Court held that the right to own a gun (bear arms) is a fundamental right, one that is firmly rooted in our history and heritage, and as such, citizens cannot be denied this right by any State due to the Fourteenth Amendment’s “Due Process” clause and its “Privileges and Immunities” clause. Justice Samuel Alito’s opinion for the majority of the Court stressed the “Due Process” clause as the Constitutional provision to secure this individual right. The most compelling opinion, however, came from Justice Clarence Thomas who used the Fourteenth Amendment’s “Privileges and Immunities” clause to support the right of gun ownership. Justice Thomas agreed that the Fourteenth Amendment makes the Second Amendment right to keep and bear arms, as recognized in Heller, fully applicable to the States. However, he asserted, there is a path to this conclusion that is more straightforward and more faithful to the Second Amendment’s text and history. He agreed with the majority’s opinion as advocated by Justice Alito that the Second Amendment right as “fundamental” to the American scheme of ordered liberty [see Duncan], and “deeply rooted in this Nation’s history and traditions.” (Glucksberg, pg. 721). But, as Thomas noted, the Fourteenth Amendment’s Due Process Clause, which speaks only to “process,” cannot impose the type of substantive restraint on state legislation that the Court asserts. Rather, the right to keep and bear arms is enforceable against the States because it is a privilege of American citizenship recognized by Section 1 of the Fourteenth Amendment, which provides, among other things, that: “No State shall make or enforce any law which shall abridge the privileges or immunities of citizens of the United States.” In interpreting this language, it is important to recall that Constitutional provisions are “written to be understood by the voters.” [see Heller]. When the Court consulted legal authorities in regard to the understanding of “ordinary citizens” at the time of the 14th Amendment’s ratification, it was clear that the public understood the Clause to protect constitutionally enumerated rights, including the right to keep and bear arms. Conservatives see this decision as a victory. But it’s a bittersweet victory. It’s a victory that we got by only the slimmest of margins. Only 5 of the 9 Justices understood the right to bear arms as applicable to the states through the Fourteenth Amendment. Yet the Court had no problem for over 50 years determining that the Fourteenth Amendment requires religion to be taken out of every facet of public life in all states, schools to be forcibly integrated, and students to be bussed all over towns and cities to achieve racial equality and to be forced to mix with students who don’t necessarily share the same commitment to education and social development. While we rejoice in this most fragile of victories, we must realize that we would have gotten this decision had had the Supreme Court not used the Fourteenth Amendment in the first place to gut the states of their inherent sovereign powers and leave the Tenth Amendment a sham. The Fourteenth Amendment, which was adopted in the aftermath of the Civil War, fundamentally altered our country’s federal system, and more specifically, shifted power away from the States to the government. Those who remember their Constitutional history will recall the issue that weighed most heavily on the States in designing a Constitution that would bind them all and would create a federal (“federation of states”) government to centralize some degree of power over them. It was the issue of how much power they would need to cede to the federal government… how much sovereign power they would have to give up. They wanted to give up no more than absolutely necessary to provide for a common defense, for foreign affairs, and to regulate interstate commerce so that all states were treated fairly in trade. The Federalist Papers, written by James Madison, John Jay, and Alexander Hamilton, were a series of essays designed to “sell” the Constitution to the states for ratification. The essays made a very compelling case for the philosophy and motivation of the proposed system of government. They went into great detail to explain how the states would retain most of their sovereign power and explained the guarantees provided within the Constitution for that very purpose. Although the Federalist Papers did not recommend nor see the need for a Bill of Rights (since the Constitution was series of limited and clearly-enumerated powers; all others were simply not granted to the government), the states and popular opinion carried the day. All those who feared a strong centralized government demanded a Bill of Rights as a guarantee that such government would never be able to trample upon those fundamental rights that the colonies just fought for and won their independence over. As Thomas Jefferson explained: “A bill of rights is what the people are entitled to against every government on earth, general or particular, and what no just government should refuse.” The States could remain sovereign and establish local life to reflect the will of their populations, but the government can never establish national policy to deny our rights. Hence, our Constitution reflected a sharing of power, between the States and the federal government. And this sharing of power was a perfect system to protect the kinds of liberties our Founders deemed needed to be secured and protected. The Founders understood that throughout history, people have been ruled by systems that range anywhere from King’s Rule (tyranny) at one far end to complete Anarchy at the other far end (which is the absence of law). The Founders recognized the bad in both. Tyranny was oppressive and people were merely “subjects” with only those freedoms that the ruler was generous enough to give them. With anarchy, people alone, without laws, would become a mob and would resort to the lowest forms of human behavior. Consequently, they wanted to establish a system of “People’s Law,” which is someplace halfway between King’s Rule and Anarchy – halfway between tyranny and mob rule. Under “People’s Law, the government is kept under the control of the people and political power is maintained at the balanced center with enough government to maintain security, justice and good order, but not enough government to abuse the people and intrude in their lives. But how to constitutionally structure this government? That was the question. Then along came the Fourteenth Amendment which destroyed this delicate and protective balance. It is crucial to understand the times in which the Fourteenth Amendment was adopted and for what purposes it was enacted, because in the 20th Century, the Supreme Court began to intentionally disregard the clear intention behind it use it in a manner to disrupt the very structure of our government, the one which our Founders labored so tirelessly and fiercely to protect. Unfortunately, Lincoln didn’t live to see the Union effectively reunite. He was assassinated only days after the surrender – on April 14th. President Andrew Johnson tried to continue Lincoln’s lenient plans but the radical Republicans in Congress rejected his terms. They felt that the terms were not harsh enough. They wanted to punish the South for starting the war, and perhaps even too, to establish their political power in the reunited territory. The North was bitter about the need to go to war (which it blamed on the South) and the South was still bitter about losing its slave-based agricultural economy because of demands by the North, which it felt had no right to interfere with. Lincoln had emancipated all slaves, in September 1862, in areas that were in rebellion against the Union (the question of what to do with slaves in the border states remained however). On January 31, 1865, Congress passed Thirteenth Amendment, which was ratified by the states that December, abolishing slavery once and for all. But it wasn’t quite enough. Congress knew that freed slaves could still be harassed by bitter states. Consequently, it drafted the Fourteenth Amendment which of course, the states would have to ratify. It reflected Republican determination that southern states should not be readmitted to the Union without additional guarantees to black people. But the radical Republicans put in place a plan whereby southern states would be “forced” to adopt the Fourteenth Amendment. (They would also be “forced” to adopt the Fifteenth Amendment as well, giving blacks the right to vote). In response to attempts to disenfranchise blacks such as the Black Codes, the Republican majority in Congress attempted to guarantee the basic rights of blacks (such as the right to vote, to marry, to own land, the enter into and enforce contracts for labor and housing) by passing the Civil Rights Acts of 1866, which removed the civilian governments that had been established in the Southern states shortly after Lincoln’s assassination and divided the South into five districts, placing them under the rule of the US Army. Escape from permanent military government, however, was open to those states that established civil governments, took an oath of allegiance, ratified the Fourteenth Amendment and adopted black suffrage. In other words, states were required to ratify the Fourteenth Amendment before readmission to the Union. President Johnson, a southern Democrat who held traditional Jacksonian Constitutional views, vetoed the Act, correctly noting that Congress had overstepped its bounds and was attempting to assume control over matters that the Constitution reserved to the states. Congress, true to form, overrode this veto. They also tried to impeach Johnson so that he couldn’t try to obstruct their efforts any more, and even though they were successful in bringing articles of impeachment against him, they lost the decision to remove him from office by one sympathetic vote. The culmination of Congress’ attempts to give basic rights to the emancipated slaves occurred in 1867 and 1868, when it passed a series of Reconstruction Acts. These measures were implemented and constituted the final restoration program for the South. (Note: After 1877, Army rule ended in the South and a period called “Redemption” followed. This was the period of Jim Crow laws, the rise of the Ku Klux Klan, and the great disenfranchisement of many blacks. The Democratic Party dominated this new “Solid South” almost consistently until the 1960’s). Let us dissect the Fourteenth Amendment, because its construction is immensely important. As we know, the Thirteenth Amendment wasn’t enough to immediately confer freedom to freed slaves. It merely abolished slavery..nothing else. The bitter states, and possibly even the border states, presented a formidable barrier to incorporating blacks as freemen into society. After all, there was nothing on record granting blacks citizenship or granting them any rights. Very importantly, the infamous Dred Scott decision was still legal precedent and law of the land. The Republicans would still have to deal with this case. In Dred Scott (1856), one of the most regretful opinions of the Supreme Court, the decision permanently blocked blacks from obtaining US citizenship and from having any rights that were protected under the US Constitution. Chief Justice Roger Taney announced the court’s decision on March 1857 which held that all people who were “descendants of African born slaves” could never be a citizen of the U.S. and consequently, not to bring a lawsuit before the court. In other words, according to the Supreme Court, black people had no rights which were recognized or protected by our Constitution. Slavery was still endorsed as legal and the Missouri Compromise of 1820 was unconstitutional (which required certain states, above the southernmost Missouri state line, to come into the union as non-slave states). Finally, slaves were still viewed as property and could not be taken away without offending the Fifth Amendment’s Due Process clause. Section 1 of the Fourteenth Amendment reads: “All persons born or naturalized in the United States and subject to the jurisdiction thereof, are citizens of the United States and of the State wherein they reside. No State shall make or enforce any law which shall abridge the privileges or immunities of citizens of the United States; nor shall any State deprive any person of life, liberty, or property, without due process of law; nor deny to any person within its jurisdiction the equal protection of the laws.” [Note that the first part of the 14th Amendment nullified the Dred Scott decision and the second part immortalized the Civil Rights Act of 1864. Section 1 of the 14th Amendment contains a “Privileges and Immunities” clause, a “Due Process” clause, and an “Equal Protection” clause]. There was no mystery about the meaning of the amendment’s provisions, according to the Supreme Court in 1873 when it had its first opportunity to address its merits. In the Slaughterhouse cases, the Court affirmed its meaning in true historical context. The issue at stake was whether the Fourteenth Amendment guarantees federal protection of individual rights which are denied or discriminated against by state governments and the Court held that it doesn’t. One reason for the majority’s narrow construction of the amendment was its fear that a more expansive reading would threaten the basic functions of state governments, both by federal judicial action and through enforcement by federal statutes that might displace large areas of state law. Justice Miller delivered the opinion: ”The most cursory glance at these articles discloses a unity of purpose, when taken in connection with the history of the times, which cannot fail to have an important bearing on any question of doubt concerning their true meaning. Nor can such doubts, when any reasonably exist, be safely and rationally solved without a reference to that history…… Notwithstanding the formal recognition by those States of the abolition of slavery, the condition of the slave race would, without further protection of the Federal government, be almost as bad as it was before. Among the first acts of legislation adopted by several of the States in the legislative bodies which claimed to be in their normal relations with the Federal government, were laws which imposed upon the colored race onerous disabilities and burdens, and curtailed their rights in the pursuit of life, liberty, and property to such an extent that their freedom was of little value, while they had lost the protection which they had received from their former owners from motives both of interest and humanity…. Under the pressure of all the excited feeling growing out of the war, our statesmen have still believed that the existence of the State with powers for domestic and local government, including the regulation of civil rights–the rights of person and of property–was essential to the perfect working of our complex form of government, though they have thought proper to impose additional limitations on the States, and to confer additional power on that of the Nation. Over the next 100 years, however, the Supreme Court did an about-face regarding its views of the Fourteenth Amendment, and intentionally disregarded the Congressional intent in drafting the amendment and disregarded the decision in the Slaughterhouse cases. No longer was it going to respect the limited purpose it was adopted for. No longer was it going to balance its limited purpose with the need for state sovereignty. The Supreme Court used the Fourteenth Amendment to apply fundamental rights to the States such that the States could not burden them. The Court eventually used its “Due Process” clause to incorporate particular rights contained in the first Eight Amendments to the States. In the case of Gideon v. Wainwright (1963), the Court clarified that the governing standard is whether a particular Bill of Rights protection is “fundamental” to our Nation’s particular scheme of ordered liberty and system of justice. Eventually the Court would hold that almost all of the Bill of Rights’ guarantees met the requirements for protection under the Due Process Clause. The Supreme Court used the Fourteenth Amendment to apply fundamental rights to the States such that the States could not burden such rights. In other words, they made the various amendments binding on the States. In doing so, the Court has neutered the Tenth Amendment. It might not seem like a bad thing to have that extra layer of protection for our fundamental rights, right? But then you have to consider that whatever the Court determines to be an “adequate reading” of your rights is what will become binding on you at the state level. There is no buffer. If persons abuse their rights on the west coast, for example, such that it becomes disruptive of an orderly society, the Supreme Court can hear a case and burden those rights for everyone in every single state of the nation. If you think this is a stretch, consider what happened to the First Amendment. The First Amendment was intended as a prohibition on Congressional activity ONLY. “Congress shall make no law respecting the Establishment of Religion.” The amendment was a no-brainer. Clear as day. The First Amendment prevents the federal government from officially designating one religion over all others as the official national religion, so that there can never be any religious oppression or persecution in this country. Yet, not only could the Supreme Court read the amendment incorrectly (it must have somehow missed the clarifying word “Congress”), but it intentionally chose to ignore all written works on point which addressed its intention and meaning. So now, the law of the land is that there is a “wall of separation” that is “high and impregnable” between Church and State which not only applies to Congress, but applies to every school, public square, every state town hall meeting, and every local public place and event. The Fourteenth Amendment did that. And nine Justices. Almost 200 years of history was undone in less than 40 years. Don’t get me wrong….I am ecstatic over the Supreme Court’s decision in McDonald. But I wanted to discuss what this case means, how it came to be decided as it did, and how fragile a decision it truly is. Had Obama appointed another Justice prior to this decision, we might not be celebrating a Second Amendment victory. Had there been even one less conservative Justice, we would be left to the mercy of the jurisdiction we live in as to whether we could own a gun to protect us from the criminals who obey no rules, including the ones banning weapons. We Americans are truly at the mercy and whim of the Court. We need to be more mindful of who wears the robes of our highest Court. We need to ROCK THE VOTE and get a President and other elected officials in Washington who will protect the Court from those who will take our precious rights away from us at every chance they get. Which brings me to my last topic: Do we still need the Fourteenth Amendment? Should we repeal the it? At this point in time, does it serve more harm than good? I would argue that repealing the Fourteenth Amendment is a good first step in returning our system back to one that more adequately represents the intentions of our Founding Fathers. 1). It is no longer needed… Slavery has ended. It has been over 140 years since the scourge has been removed from our nation. Blacks are no longer prohibited from voting, owning property, entering into employment contracts, marrying, etc. The very reasons for the Fourteenth Amendment are no longer exist in the US. 2). It will automatically return the Constitution to its original status regarding government power versus States’ powers. States rights will immediately be restored to honor the intentions of those representatives who fought so hard for their sovereign rights. The government will no longer be able to impose the regulations of the Bill of Rights onto the States (ie, it’s “view” such as “Wall of Separation,” Roe v. Wade, bussing, etc). 4). It will help neuter the “race card” which burdens free speech, interferes with law enforcement, and stymies meaningful dialogue on crucial social issues and other issues. Repeal of the Fourteenth Amendment signals that we are past Civil Rights indignations against the African race. 5). It signals to the people in this country that Slavery is in the past and we are officially moving forward. No more dwelling on it, no more talking about it as if apologies and policies are still necessary. Too many people in this country are here because of immigrants who came here during the 20th century and have no ties to that wretched part of our history. They shouldn’t have to be punished for it. And it’s certainly not helpful to black people either. They are a wonderful and vibrant part of our nation now. Sure, we might have to re-visit this “Right to Bear Arms” (as allowed in the individual states) for protection if we repeat the Fourteenth Amendment, but my prediction is that States which are bold enough to fight crime, thugs, and gang activity will be the same States which will have no problem prohibiting an individual’s right to bear arms. Besides, it’s easier to have local protests against policies that are unpopular than it is on a national level. But first we have to get rid of the political mentality that the Fourteenth Amendment is the catch-all to solve all social problems or the foundation to change society at the (liberal) government’s whim. We have to get rid of the political mentality that the value of a vote outweighs the immense harm that the individual presents to the rest of society. But for today, let’s just rejoice in knowing that for the coming years at least, the Second Amendment is strong and secure. The Supreme Court got this one right.